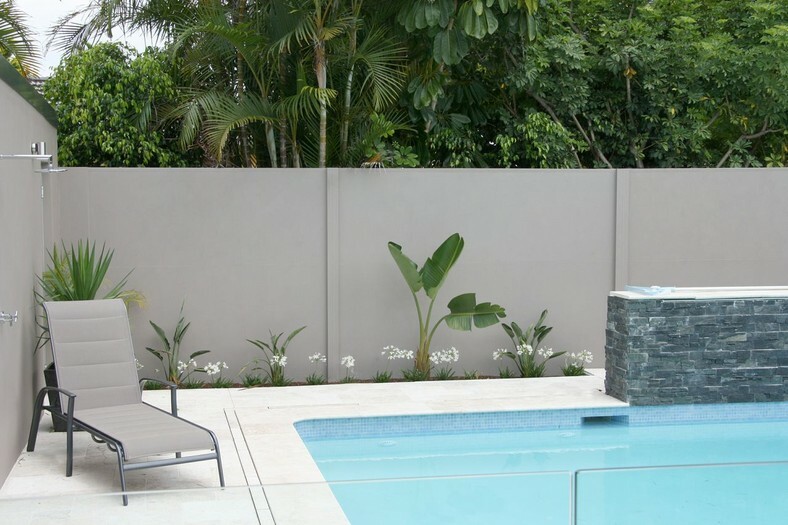 SlimWall is the stylish panel fencing option for those who want a designer alternative to standard Colorbond or timber choices. SlimWall has proven noise reduction qualities, incorporating AcoustiMax 50 acoustic panels, for privacy and peace and quiet. 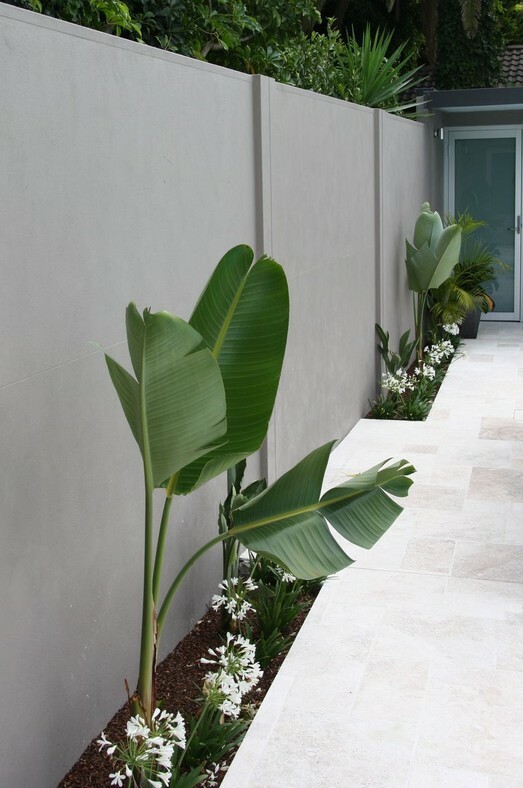 SlimWall is also the perfect solution for tight areas in the garden where a sound proof wall or barrier would otherwise be desirable. 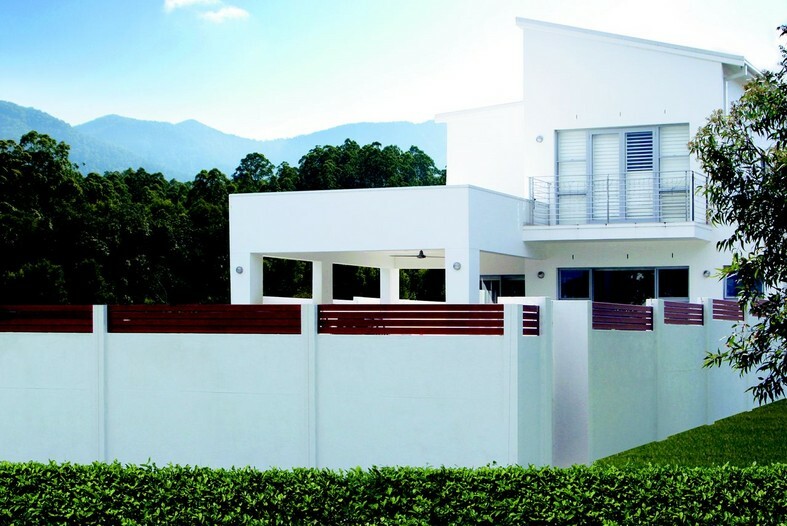 Perfect as a stylish general garden fence, front fence, feature fence, sound proof or acoustic fence and noise barrier, the SlimWall Panel Fencing System is popular due to it`s designer look and welcome versatility. SlimWall fencing panels can be finished to seamlessly match the existing style or architectural integrity of the home. The system can be complemented with slat infills, gates, lighting and/or a letterbox, the options are endless. Finishing the SlimWall modular fence to your individual taste is easy. Simply use a smooth acrylic paint for a modern look or a textured paint for a Tuscan-style rendered effect. The simplicity of design allows for quick and easy construction by Custom Fencing on level or sloping blocks. SlimWall panel fencing also incorporates amazing noise reduction properties. The composite wall panels efficiently reduce sound transmission, you can generally expect a 20+dB or a four fold audible reduction in traffic or neighbourhood noise resulting in greater privacy. SlimWall is an ideal acoustic fence or noise barrier for those who desire peace and quiet around their homes. All of SlimWall’s components have been designed to accept high quality exterior acrylic paint. This allows you to paint your fence to match the colour scheme of your house while your neighbour can do the same on their side. The components can also accept textured paint so you can achieve the effect of a rendered masonary wall for a fraction of the price. No more arguments over colours or finishes. 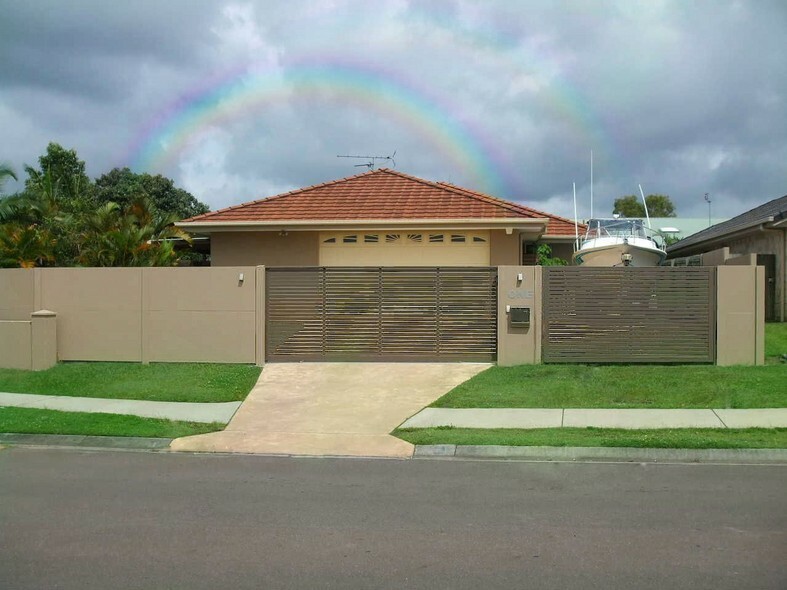 To make the SlimWall even more versatile it has been designed to accept decorative slats, gates or even lighting so you can truly customise your fence to compliment the style of your home. Please contact us for more details if you would like to incorporate these added design elements to you fence.